The passion behind the vision is what makes people leaders. This is a first in an episodic series called the Business Coaches LAB. 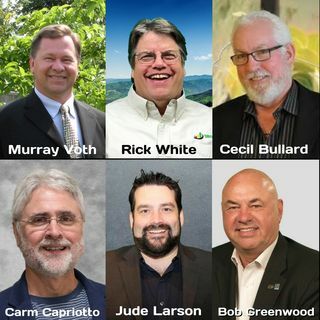 With me for the ‘Leadership LAB’ is Cecil Bullard, Bob Greenwood, Jude Larson, Rick White and Murray Voth. Find the coaches bio, previous podcast episodes and their companies website on the show notes page: remarkableresults.biz/a070. Also, find the ... See More cliff note ‘talking points’ there that can act as a great action to do list for you.